A 2nd method calling Article V convention by Congress is defined, but has never been used. Congress preempted the States by proposing the Amendment itself. NAVIGATION: Home » Frequently Asked Questions (FAQ) » What Is the 2nd Method of Calling an Article V Convention? What Is the 2nd Method of Calling an Article V Convention? The 2nd Method calling Article V Convention has set many precedents by the nominal 400 or so State applications to Congress (FOAVC documents 766 applications from 49 States!). The right of a two-thirds majority of the States (i.e., 34 States) to call an Article V Convention by the 2nd Method is clearly defined in the Constitution. However, though Congress has defined procedures by which the States can call an Article V Convention by the 2nd Method, it has avoided passing legislation incorporating the procedures into law. In fact, on the four occasions that it appeared that the States would successfully call an Article V Convention to propose an Amendment, Congress preempted the States by proposing the Amendment itself—i.e., Amendments 17 (direct election of Senators), 18 (Repeal of Prohibition), 22 (Limitations on Presidential Terms), and 25 (Presidential Succession). The fundamentals for the States to call successfully for an Article V Convention are to make sure that all steps are completed correctly, to follow the procedures that Congress has defined even if they are not formally laws, and to avoid or overcompensate in areas where any uncertainties exist. When drafting the Constitution, Anti-Federalists were fearful that the “necessary and proper” or “Basket Clause” would permit federal power to grow—as has occurred. The Founding Fathers at the Philadelphia Convention included the Article V’s second method to allay the Anti-Federalist fears. Read literally, the second method explicitly grants the States the power to propose and to ratify amendments. It grants Congress no explicit authority to hinder the States in exercising their power. Contemporaneous writings by the Founding Fathers explain the second method’s meaning—and confirm a literal reading. 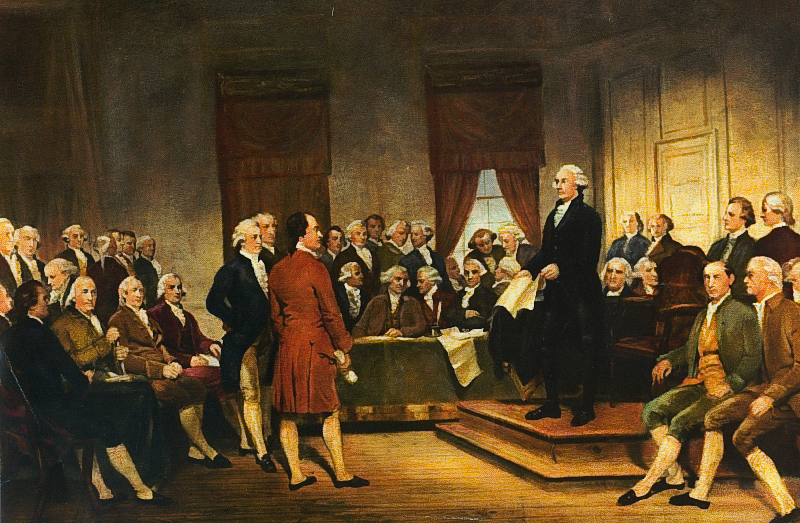 The Founding Fathers published them widely to gain state support for the Constitution. Since these writings were instrumental in gaining the States’ approval of the Constitution, they carry great weight for legal interpretation of the Constitution. In Federalist No. 43, January 23, 1788 James Madison wrote, “[The Constitution] equally enables the general and the State governments to originate the amendment of errors, as they may be pointed out by the experience on one side, or on the other.” Clearly, Article V intends that the second method is the equal of the first method. Congressional relegation of the second method to the status of a “prodding effect” is not part of the Constitution. In Federalist No. 85, August 13, 1788 Alexander Hamilton wrote, “The words of this article are peremptory. The Congress shall call a convention. Nothing in this particular is left to the discretion of that body.“ Consequently, Congress cannot hinder Article V’s second method. The Constitution uses the words “shall call” not “may call,” and Federalist 85 validates this. Federalist No. 85 continues “persons delegated to the administration of the national government will always be disinclined to yield up any portion of the authority of which they were once possessed… By the fifth article of the plan, the Congress will be obliged on the application of the legislatures of two thirds of the States… “Therefore, the U.S. Constitution trusts the States to use the second method to control federal excesses. The Founding Fathers were fully aware of the risks of congressional excesses and intended the second method as the guardian to control these excesses. Furthermore, in Federalist No. 85 “We may safely rely on the disposition of the State legislatures to erect barriers against the encroachments of the national authority.“ The Founding Fathers believed that the Constitution could rely on the States to take responsibility for resolving congressional Problems of the type now confronting us. The Founding Fathers clearly had no doubt that the States could be trusted with this constitutional duty. In Federalist No 49, Madison wrote “As the people are the only legitimate fountain of power…it seems strictly consonant to the republican theory, to recur to the same original authority…whenever it may be necessary to enlarge, diminish, or new-model the powers of the government, but also whenever any one of the departments may commit encroachments on the chartered authorities of the others.“ The Founding Fathers expected that it might be necessary to check encroachments and diminish powers of government by returning to People as the only legitimate fountain of power. The Founding Fathers did not see how direct democracy could apply to a whole nation and did not include it in or exclude it from the Constitution. However, all state constitutions now include varying degrees of direct democracy, which has become a de facto part of U.S. constitutional philosophy. Thus, Madison’s view that the people are the fountain of power can today be implemented through a direct democracy process—it is consonant with the Founding Father’s view of the people as the source of all power and with the current U.S. political philosophy that direct democracy is a legitimate power of the people. State legislators have taken oaths to support the U.S. Constitution. Legislators take these oaths seriously. They cannot ignore congressional violations of their people’s U.S. constitutional rights and cannot fail to provide feasible remedy. Therefore, in accordance with the U.S. Constitution, and validated by the contemporaneous writings of the Founding Fathers, the States have the U.S. Constitutional right, power and duty to use the second method to solve the Problems—by means of this planned Solution or equal.